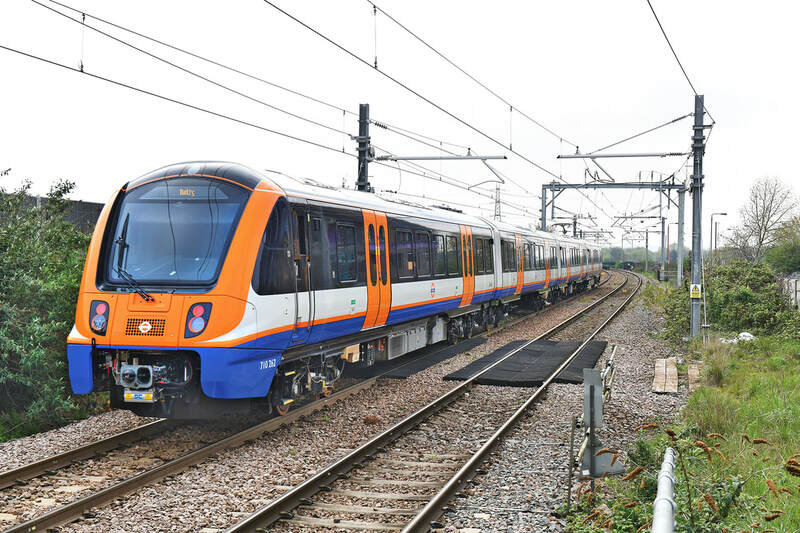 The returning GBRf 'flock'. 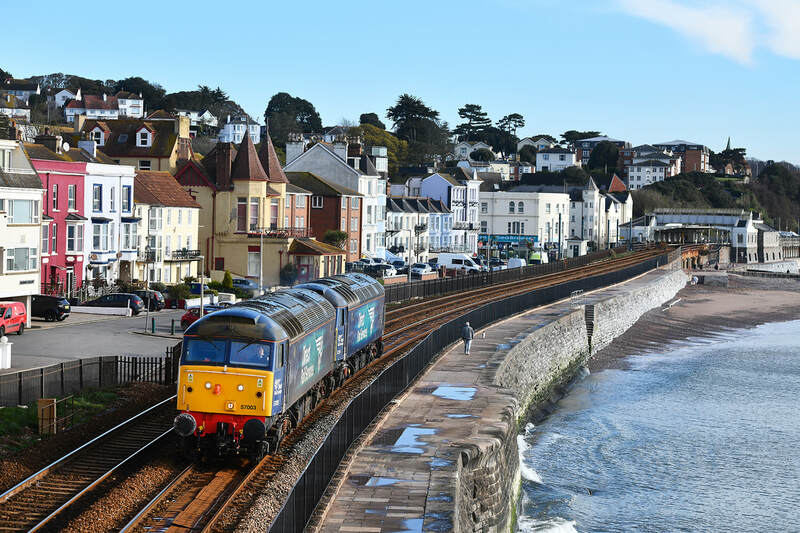 66714 hauls 73107, 50007 and 50049 towards Dawlish station on 15 April 2019 as 0Z51 08.15 Bodmin and Wenford Railway to Eastleigh. 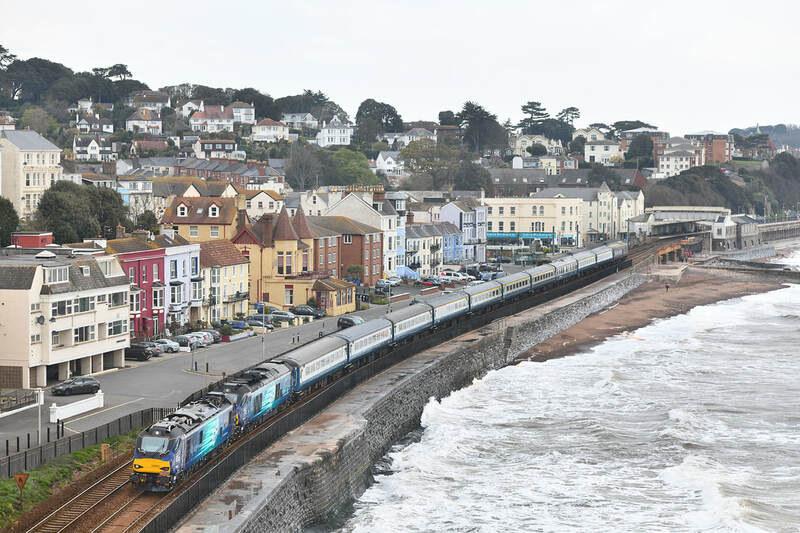 In poor light and ruddy cold, a new class visited the Dawlish Sea Wall on 13 April 2019, when DRS Class 88 No. 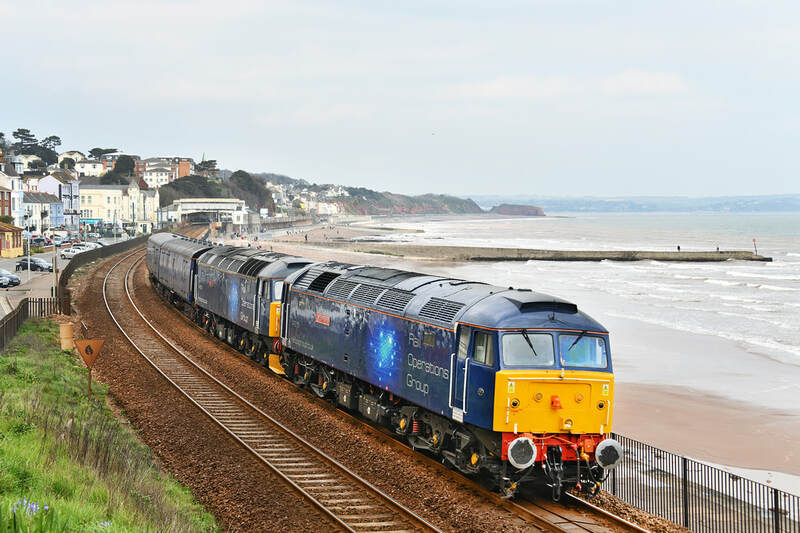 88003 piloted Class 68 No. 68034 with 'The Springtime Cornishman', train 1Z60, 04.45 Tame Bridge Parkway to Penzance, visiting the far west to coincide with Great Western Railways Long Rock depot open day. 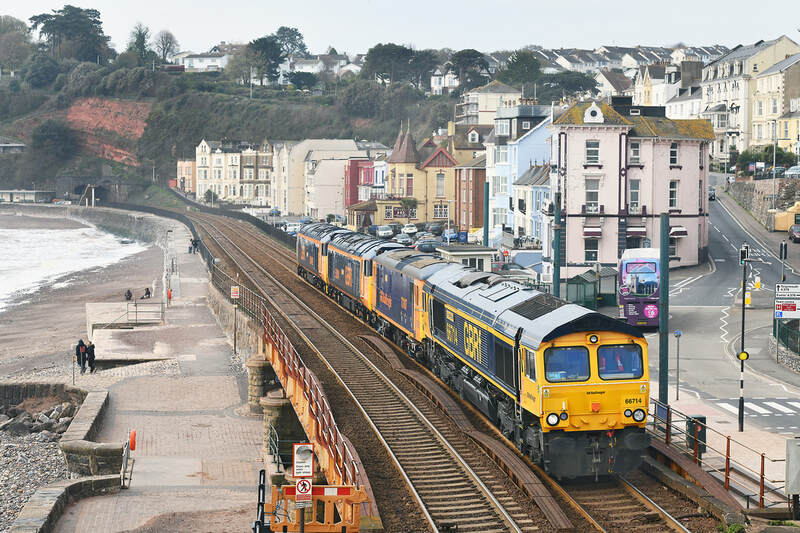 A flock of GBRfs pass along the Dawlish sea wall on 12 April 2019. Running as 0Z50 the 08.10 Eastleigh to Long Rock depot, the move is formed of Class 66 No. 66714, Class 73/1 No. 73107 and two Class 50s Nos. 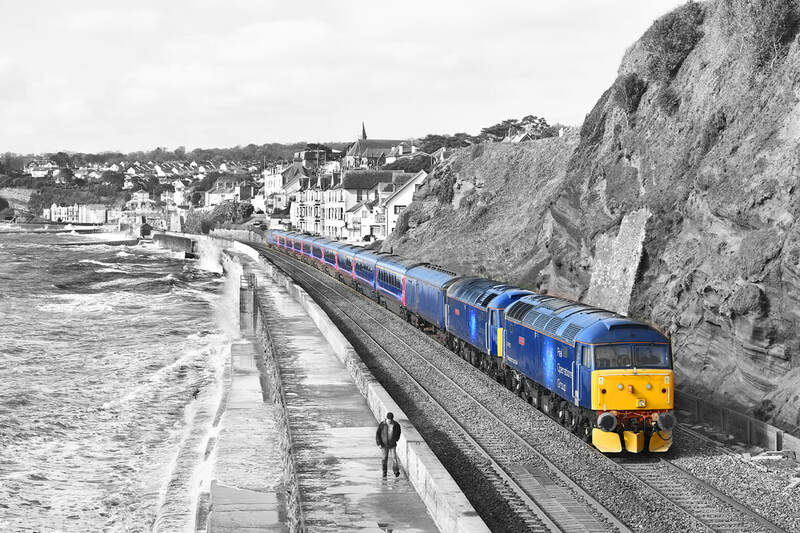 50049 and 50007. 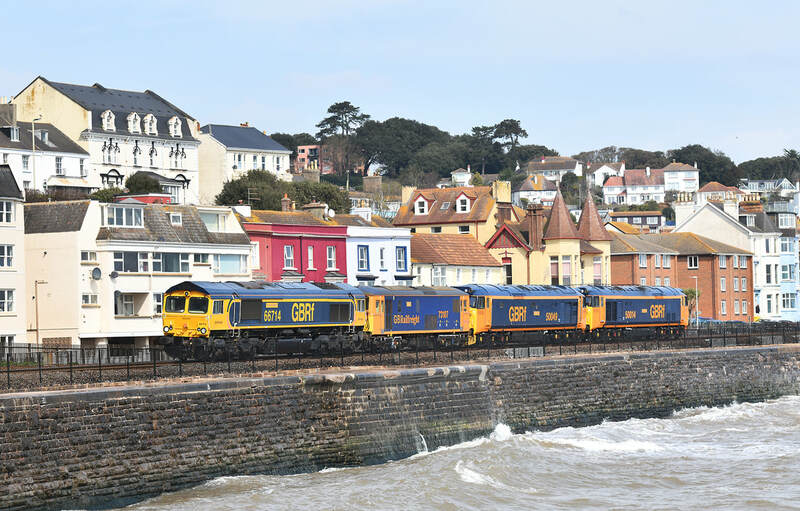 The locos were en route to Long Rock to take part in the Great Western open day at the depot on 13 April. 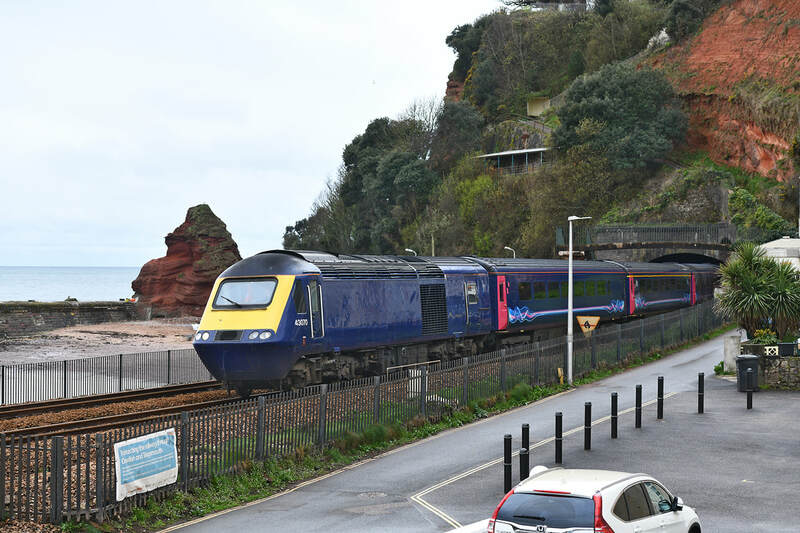 Andy Pandy tours emerge from Kennaway Tunnel, Dawlish on 12 April 2019, with the NMT forming train 1Z18, the 15.45 Paignton to Taunton via Bristol track inspection special. 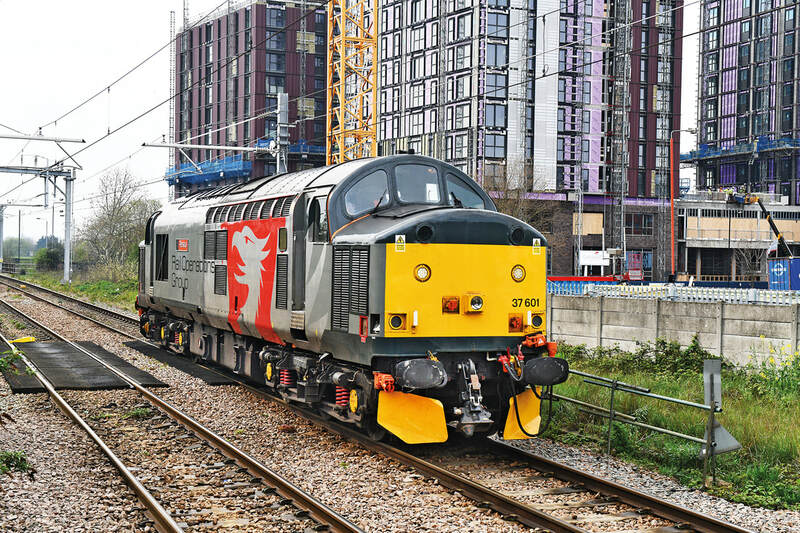 37601 approaches Blackhorse Road, 14.20 Willesden Depot to Willesden Depot via Barking Upney Junction, Class 710 rescue shadow. 9 April 2019. Class 710 No. 710262 passes Blackhorse Road, 3Z06 15.51 Barking Upney Junction to Willesden Junction, test and training run. 9 April 2019. Class 710 No. 710262 passes Blackhorse Road, 3Z05 14.40 Willesden Junction - Barking Upney Junction test and training run. 9 April 2019. 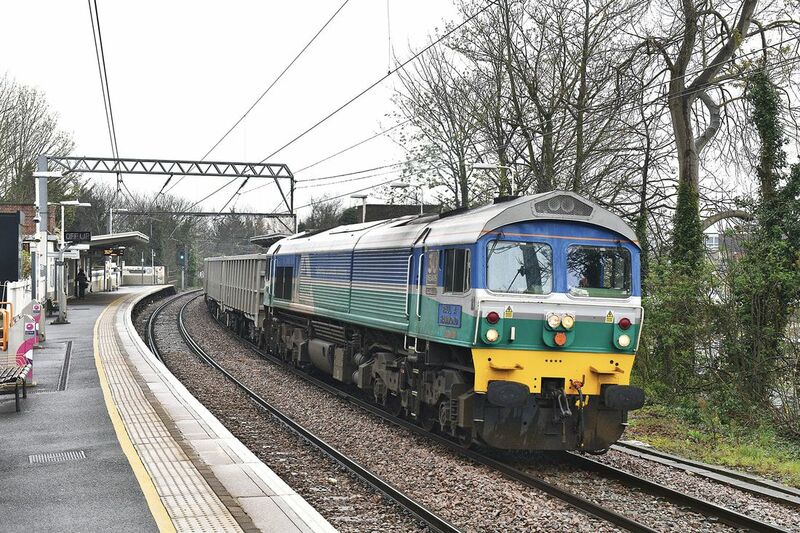 59004 passes Gospel Oak, 12.28 Hitchin - Actonempty stone, 9 April 2019. Class 717 No. 717002 approaches Welham green, 2K72 12.28 Welwyn Garden City - Moorgate, 9 April 2019. DRS Class 57s Nos. 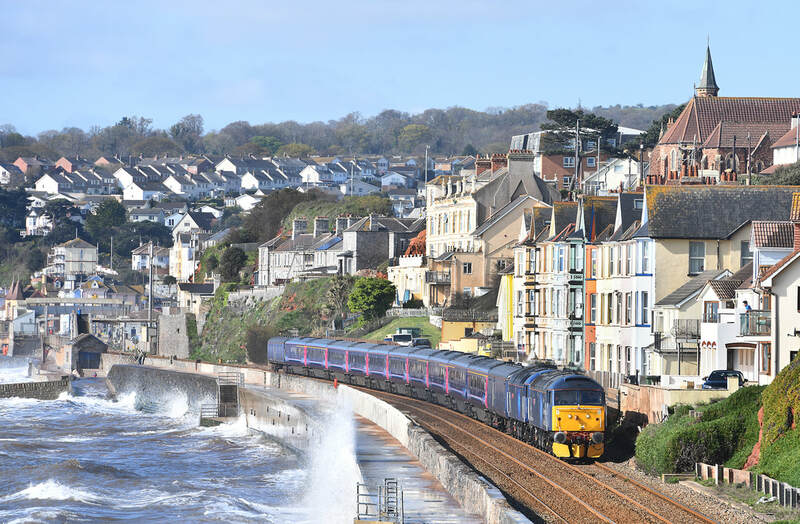 57003 and 57301 down Dawlish, 0Z31 09.00 Exeter - Penzance (route training). 3 April 2019. 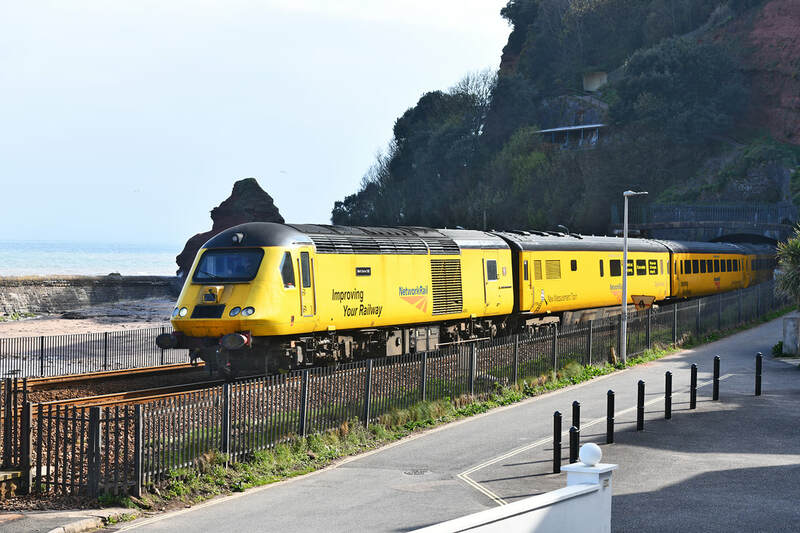 43070 + 44041 + 41186 + 40115 + 40811 + 40810 + 40807 + 42583 + 42520 + 43087 up Kennaway Tunnel, Dawlish, 5Z43, 09.42aira - Long Marston (off-lease stock, de-branded), 4 April 2019.